Join our mailing list and receive free monthly(ish) updates in your inbox! As a special thank you for subscribing, we’ll also give you a free download about referral marketing. 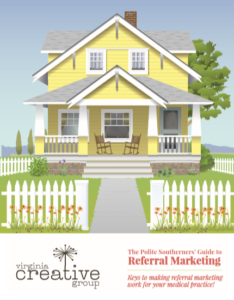 Utilizing the power of referrals is one of the most important aspects of growing your practice.